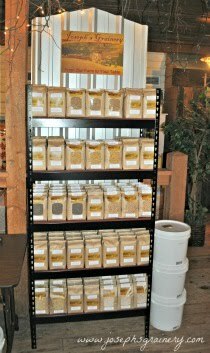 We love it when you ask questions, because we want you to enjoy cooking and baking with our whole grain products. So today, we are excited to answer one of the most frequently asked questions we get about garbanzo beans. "How do you re-hydrate the garbanzo beans so they are soft like the ones you get in a can?" Hard as a rock when you buy them at the store, these little legumes soften up to make everything from falafel to hummus. Measure the amount of garbanzo beans needed. Note that garbanzo beans will approximately double in size. Place the garbanzo beans in a bowl large enough to allow them to expand and fill the bowl with water, covering the beans plus at least 3 inches. 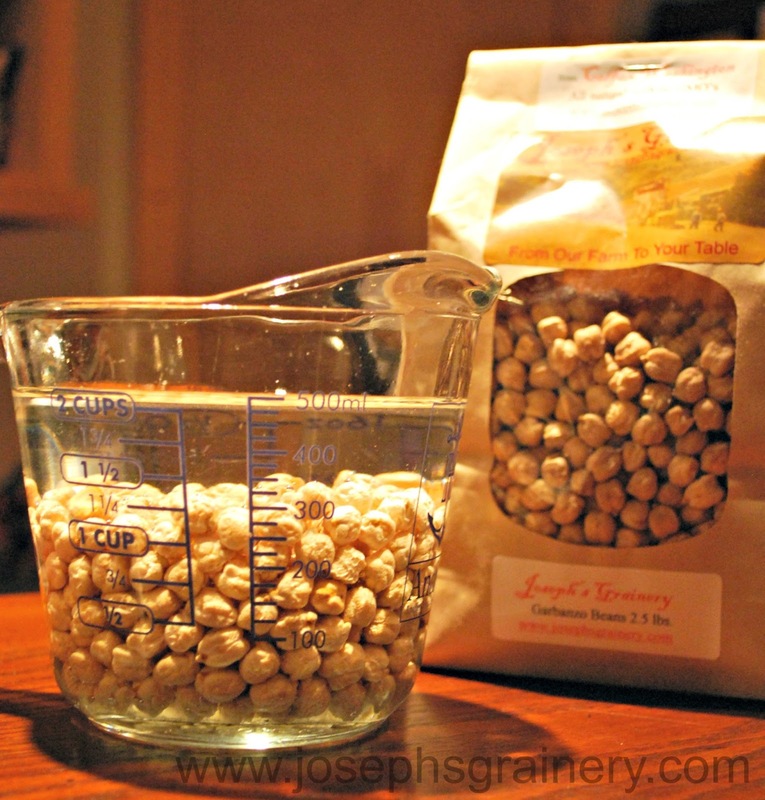 Let the garbanzo beans soak overnight to 24 hours. Drain the beans in a large colander and then place them in a stockpot and cover with fresh water, adding about 3 inches of water above the top of the beans. Bring the Garbanzo Beans to a boil on the stove, reduce heat and simmer. Stirring occassionally, cook until the garbanzo beans are tender, but not mushy. Drain and use as you would any canned garbanzo beans/chickpeas.